When I walk into a new situation, I strive to bring with me a certain swagger. It is my way of smiling as new faces approach, making eye contact that is warm and not intimidating, or walking through a room with both purpose and openness. 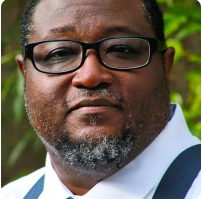 At least this is the way I hope fellow educators perceive me at various conferences, like ISTE 2015 last week, and professional development opportunities this summer. It is also the way I hope my students perceive me as we start a new year together. At the same time, I’m bit nervous going into these situations. Will I live up to their expectations based on the interactions we’ve had via social media, or based on any of my writing they may have read, or even based on my reputation in the school? Maybe I’m projecting these nerves instead of the warm open educator I think I am. 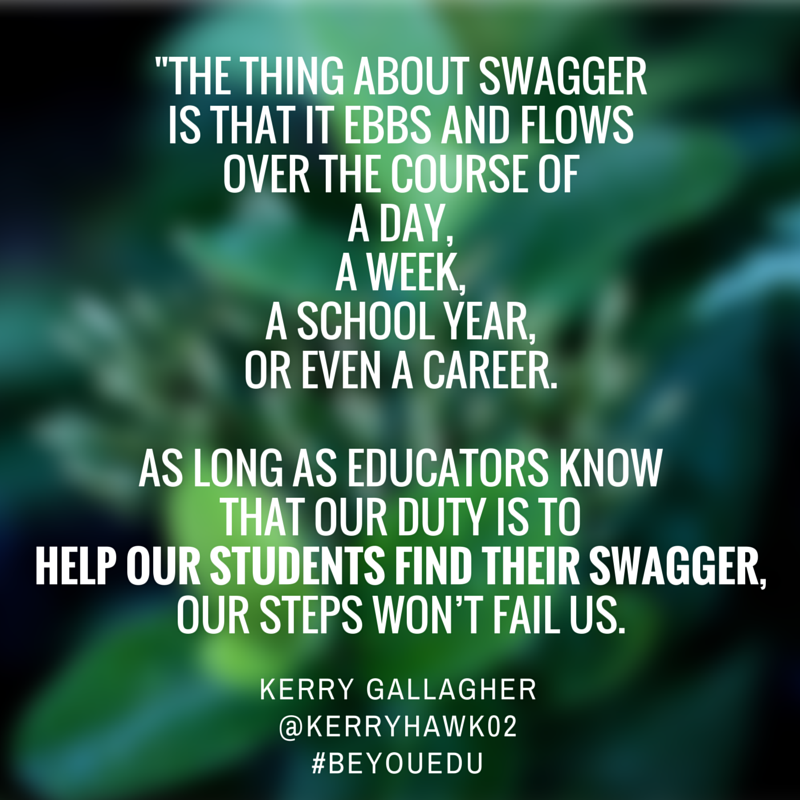 This summer, educators have an opportunity to reflect on the impact their swagger can have on their students and colleagues before the school year begins. Teacher starts by confidently introducing herself, with an emphasis on her credentials. Talks at length about the academic rigor and high expectations of the class. Teacher is quiet. Says almost nothing. Hands out a packet filled with assignment, behavior, and other expectations. Reads through it as students read along. Teacher smiles and greets students. She asks them questions about how they are feeling, what they are expecting, and how they might be hoping the class experience will be. Which teacher swagger would you want to experience as a student on that first day? Now the tough question: Which teacher swagger description is closest to how you have opened your school year in the past? Similarly, it is our duty to simultaneously be ourselves and be what our colleagues need. Being true to ourselves will allow us to be the best teacher for each child that walks through the school’s doors. But being in tune with both the joys and frustrations of fellow colleagues will make the school as a whole a more unified place. Share the wonder of a classroom success by walking into meetings beaming with your swagger of victory. But spend more time celebrating the successes of your colleagues than your own. Conversely, remember to listen intently when a colleague is faced with a challenging student, lesson, or parent. Avoid being a problem-solver. Help them find their own way back to their swagger by asking questions rather than trying to provide answers. The thing about swagger is that it ebbs and flows over the course of a day, week, school year, or even a career. There are times when it is lost and we stumble, struggling to find it again. There are times when it is unmistakable, rhythmic, and solid. 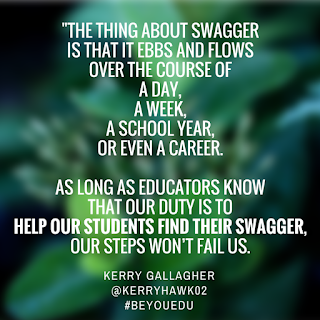 As long as educators know that our duty is to help our students find their swagger, our steps won’t fail us. This is a very interesting post, and a very unique concept. It truly makes a difference what type of swagger a person brings to the table. Being an optimistic and inviting person at your job and in all aspects of life will most definitely make things go smooth throughout the course of the day. People will learn to trust you and know they can depend on you. You will also have people value what you think and have to say. To answer your question, I am not yet a teacher, but I hope I will be the teacher that will wear a smile and greet my students daily. I hope to always value their thoughts and opinions and listen to what they have to say. Most of all, I hope to help my students achieve all of their goals. Thanks for another great post.